How can a foreigner register a marriage with a Belarusian citizen? Human Constanta > News > How can a foreigner register a marriage in Belarus with a Belarusian citizen? How can a foreigner register a marriage in Belarus with a Belarusian citizen? You legally arrived in Belarus — having a visa or a temporary residence permission, a residence and you want to marry a Belarusian citizen in Belarus? What to do, which documents are needed to register a marriage in Belarus and where to go with them — you can find the answers to these questions in our memo. The law allows marriage between foreigners and Belarusian citizens. The procedure will not differ from usual, but foreign citizens need to collect a little more documents. For this matter, one has to engage into the legalization of documents obtained by a foreign citizen in his country. If you decide to register a marriage in Belarus, first you will need to obtain some documents in the country of your citizenship and permanent residence, in case they differ. For example, if you are a citizen of one country, but constantly live (and have a residence permit) in another, you should get the documents in both countries. First of all, you shall get a certificate that you are not married at the moment. 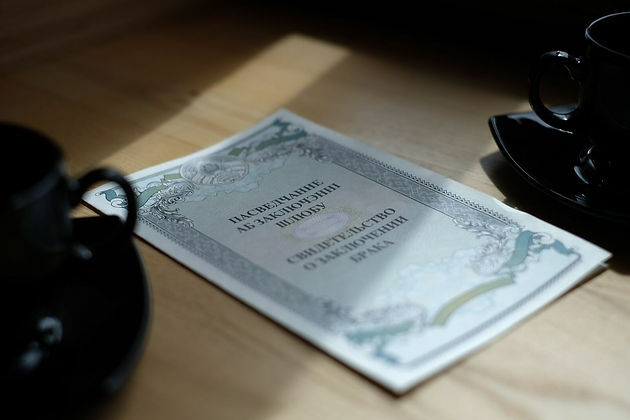 If you are in Belarus, then such a certificate can be obtained in the embassy of your country by providing a passport and paying a small duty fee. In different countries, such references may have different names, for example, a certificate of the family composition, a certificate of a marital status, a certificate on the absence of marriage, etc. In the CIS countries, such certificates are issued in the registrar offices (ЗАГС). If you were previously married, you may also be requested to provide a court decision on divorce or a document confirming that the previous marriage was terminated. Before you bring such a document to Belarus, do not forget to legalize it. Each country establishes its own peculiarities of legalization. Normally, you need to contact the local competent authority, for example, the Ministry of Foreign Affairs or the Ministry of Justice and to certify the document there. Then you need to re-certify the document in Consulate of the Republic of Belarus located in your country. After this, the document is ready for a notarized translation into Russian or Belarusian language, which you must already do in Belarus. If your state is a party to the 1961 Hague Convention, then there is a possibility to apostille such documents instead of resorting to the consular legalization. Therefore, before applying for the legalization of the document, please check whether your state is party to the said Convention. Unlike consular legalization, apostilling takes less time. In different countries, different state authorities are responsible for putting an apostille on documents, so when you obtain the document, just clarify whether the authority issuing it can apostille it. Remember that the apostille is placed only on the original documents and represents a small stamp, which is placed either on the document itself or on a separate sheet. The Registrar Office is a body of “civil status records”. This is the place where a marriage, a birth of a child and a death of Belarusian citizens are registered. Here is the list of documents that is necessary for the Registrar Office in Belarus. document confirming the legality of the foreigner’s stay on the territory of Belarus (registration of temporary stay, temporary residence permit, residence). You must come to the Registrar Office with your future spouse/husband in person and provide the documents mentioned above (addresses of Registrar offices). You will be given a choice of vacant dates, as well as asked if you would like to have a solemn ceremony or not. Usually, marriage registration is not possible earlier than three days and later than three months from the date of making the application. If you plan to stay in it for more than 90 days, then the conclusion marriage with a Belarusian citizen is the ground for applying for a temporary residence permit for up to 1 year with the possibility of further extension. We wrote earlier how to obtain the permanent residence permit and temporary residence permit. household. By a court decision, a marriage can be invalidated if it is proved that it was registered solely for the purpose of obtaining a temporary residence permit or a residence in the Republic of Belarus.